The "Decrypt Documents" function of PDFCool Studio can help the user to easily decrypt batch PDF documents. 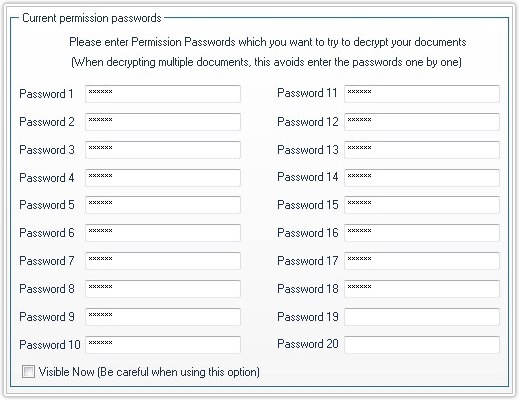 Note: The "Passwords setting of current document" show the passwords condition of the current selected document. Note: Check the Visible Now, the passwords you entered will be visible. 6. Click on the Decrypt button to finish the document decryption process.